MANILA (Mindanao Examiner / Nov. 6, 2011) – The Federation of Philippine Industries accused the Liquefied Petroleum Gas Marketers’ Association of engaging in cartelization and monopoly and has filed charges against them. FPI’s Jesus Arranza alleged that LPG-MA have banded and associated themselves in a concerted effort to fix the price of cooking gas and therefore restraint the trade or free competition. Among those charged was Congressman Arnel, who represents the LPG-MA party list group. But Ty accused the so-called Big 3 oil firms - Pilipinas Shell Petroleum Corp., Petron Corp., and Chevron Philippines Inc. as behind FPI. “The FPI is just fronting for Pilipinas Shell Petroleum Corp., Petron Corp., and Chevron Philippines Inc. in damaging the reputation of LPG-MA and other independent refillers not aligned with the giants,” lawyer Miguel Ponce Jr., Ty’s chief of staff, said in a statement sent to the Mindanao Examiner. “The Big 3 oil firms are among the controlling corporate members of FPI. The giants are simply out to stifle free and fair competition, and perpetuate their market dominance at the expense of consumers,” Ponce said. Aside from Ty, nine other executives have been charged. “We don’t have a copy yet of the prosecutor’s supposed recommendation. If in fact there is one, then we intend to appeal it before the Secretary of Justice,” Ponce said. Curiously, Ponce said FPI’s complaint singled out LPG-MA, adding, independent LPG refillers compete directly with the Big 3 in the open market. “Independent refillers base their product retail prices on the international contract price of LPG. This is why they are able to sell their products to consumers at much lower prices compared to the Big 3,” Ponce said. “We don’t know what is the reference price used by the Big 3 for their LPG products, which in some markets are sold around P100 higher per 11-kilogram cylinder,” he added. 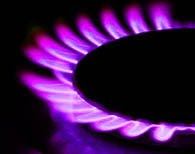 The Department of Energy has repeatedly urged the Big 3 to use the international contract price of LPG as benchmark, but the giants have refused to comply, according to Ponce. Ponce accused the oil giants of “maliciously retaliating” against LPG-MA, which previously filed a complaint urging the joint DOE-Department of Justice Task Force to investigate excessive LPG prices in the Visayas and Mindanao. “The question now is: Why is FPI’s complaint moving so fast, while no action has been taken with respect to LPG-MA’s complaint against FPI’s Big 3 members? Ponce asked. Regulators earlier acknowledged that based on their market surveillance, LPG prices in the Visayas and Mindanao are up to 15 percent higher compared to those in Luzon. The Big 3 oil firms still dominate the LPG markets in the Visayas and Mindanao. In contrast, LPG prices in Luzon are cheaper because of growing competition posed by independent refillers.